To celebrate the launch of MCN’s exclusive 132 page Valentine Rossi tribute bookazine available on November 11, we’ll be bringing you a Valentino Rossi helmet of the day for you to poll on. 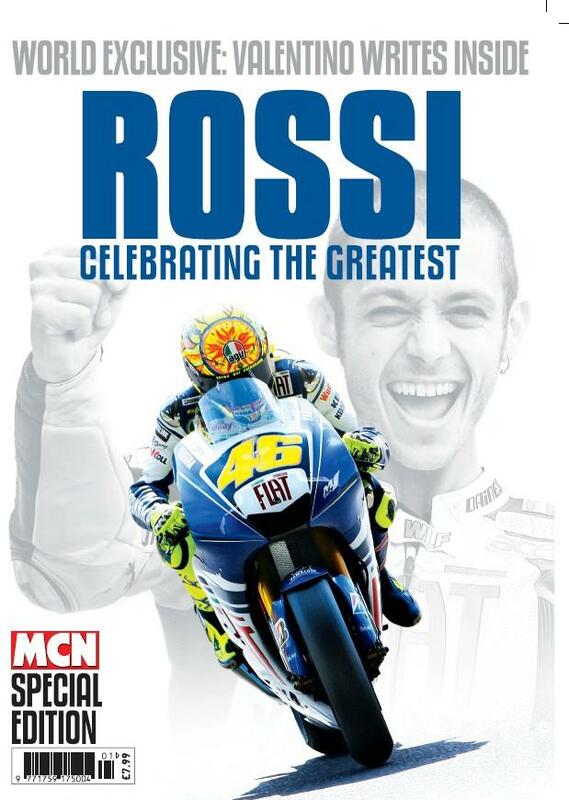 The MCN bookazine is a celebration of the career of the man himself with exclusive words written by Valentino and an introduction from the eight-time World Champion and his father, Graziano Rossi. You can find it in newsagents from November 12 - or you can order your copy direct from Tower by calling 0845-6012672 or by visiting www.subscription.co.uk/products/rossi (Quote code: ROSI). An extra charge for postage and packaging applies to mail order purchases. However, you will also have to pay postage and packaging if you buy via this method. 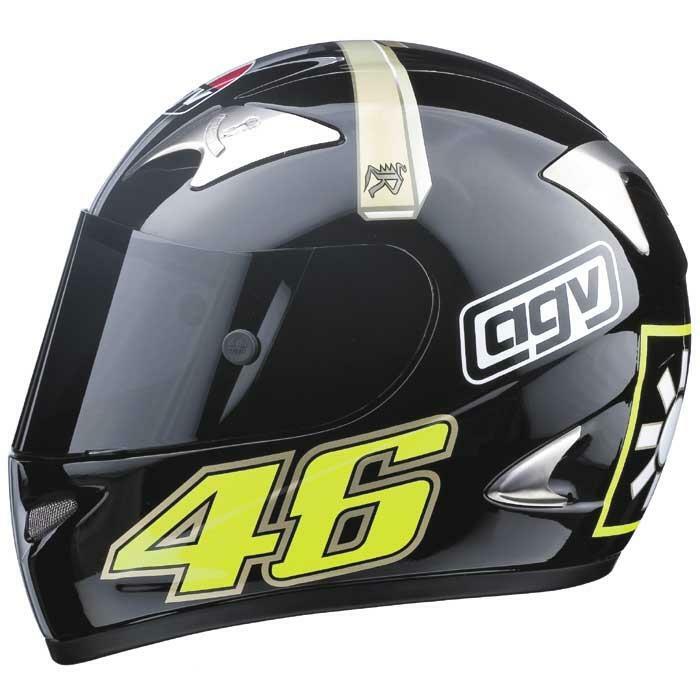 Keep your eye on the Rossi lid of the day, as on November 11 we’ll be running a very special competition for one MCN online reader to win a Rossi replica AGV K3 helmet and ten runners-up will get a copy of the Rossi book to celebrate the book launch. 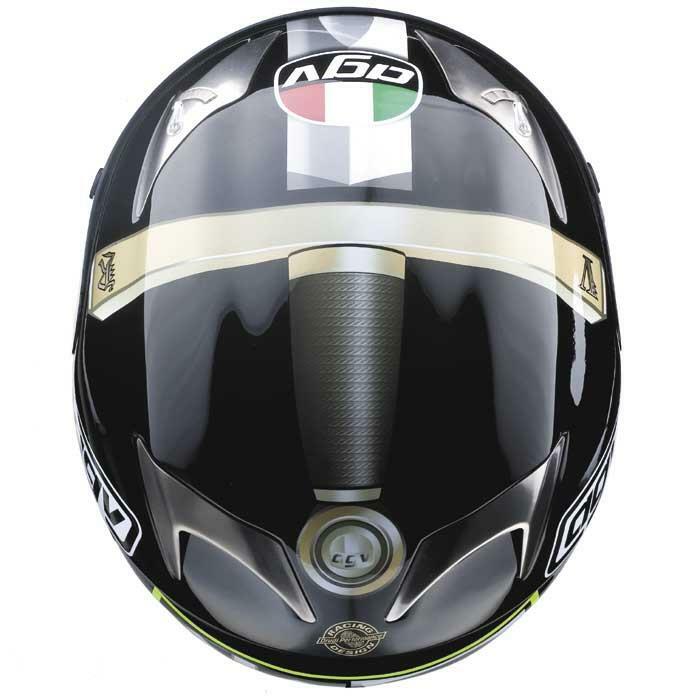 Today’s final helmet instalment is this helmet used by Valentino during testing at the end of 2006. But what’s the name of the sword pictured on the top of the helmet? 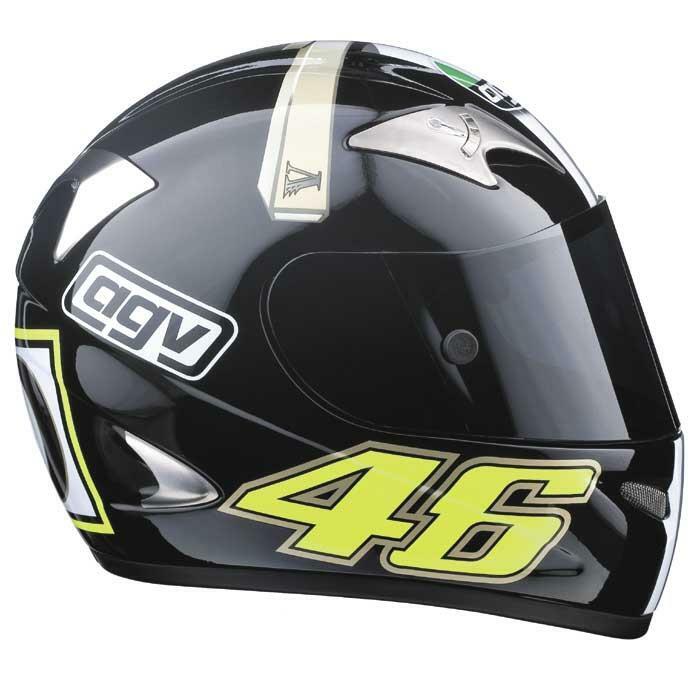 Check back tomorrow for the result, and our special AGV helmet competition to celebrate the release of the Rossi bookazine. Yesterday’s poll answer was C) Valencia 2003. 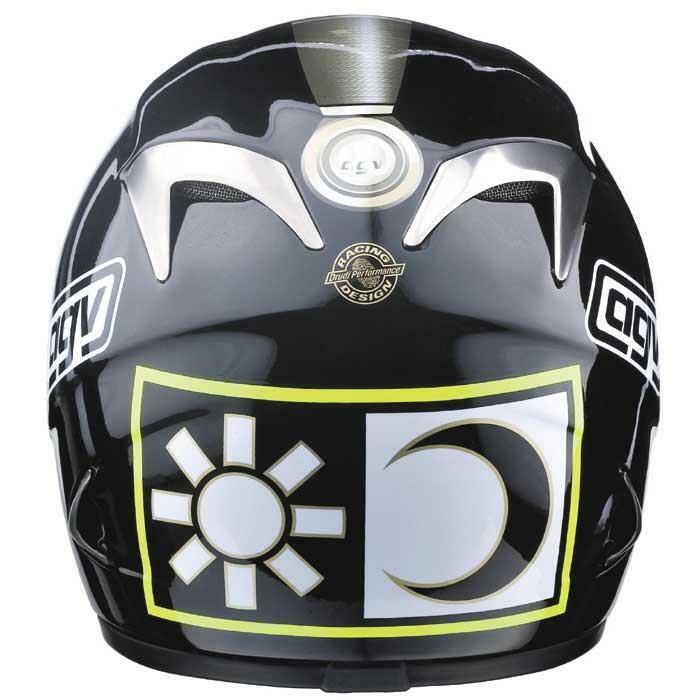 What’s the name of the sword on Rossi’s helmet?